One of the most valuable things we offer to families coming to Myrtle Beach is access to objective sources of elementary, middle and high school information for public, private, parochial and charter schools. Providing parents with tools that help in choosing schools and tracking school performance, and delivering access to other key resources that help new residents make informed decisions is one of the most rewarding aspects about being a Realtor® and helping our clients help their children succeed. Myrtle Beach is an excellent place to do business and find a rewarding career. 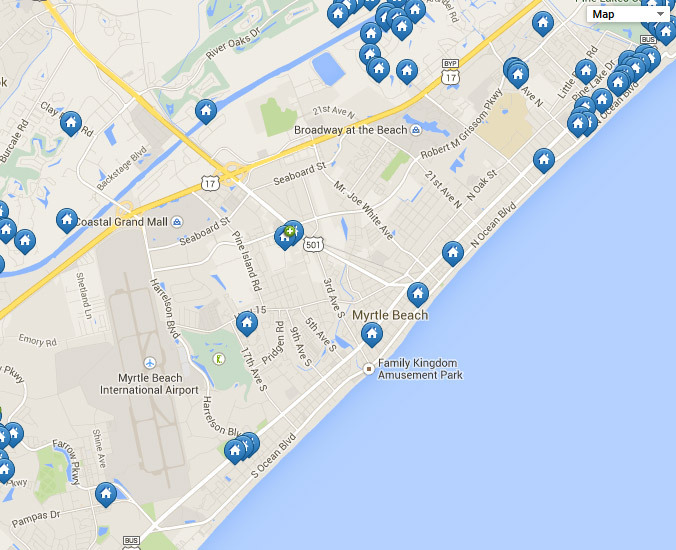 Here are some links to business resources in our area. Here are some links to area activities and entertainment resources. There is so much to do here! Enjoy! Myrtle Beach boasts great access to exciting college and professional sports teams. Use the links below to connect with activities that the sports enthusiast can be enthusiastic about! Myrtle Beach is supported by a full range of health care options. Below are links to some of our facilities.